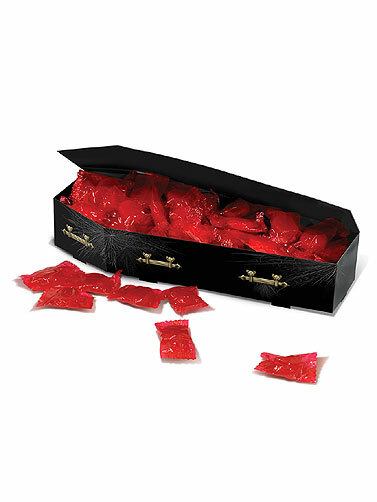 This 3-D Coffin Centerpiece decoration will add a creepy coffin to your Halloween party table. 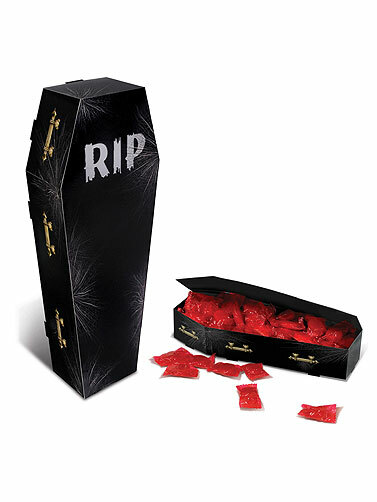 Both decorative and functional, the sturdy paper coffin can hold small candies or toys and will compliment a variety of party themes. 3-Dimensional design requires some easy assembly. 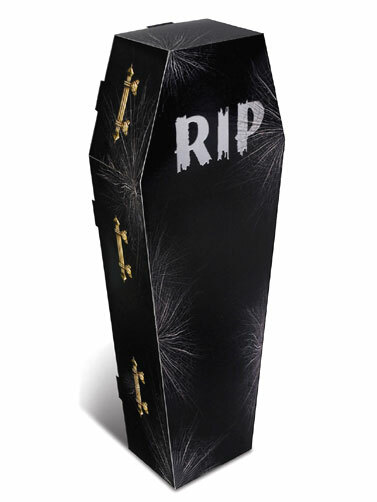 3-D Coffin Centerpiece measures 9.75"L x 1.75"W. 1 pc.